Do you manufacture machinery or systems for grain processing? Do you want your machines to turn out top-quality, contamination-free products and save energy at the same time? Then you’ve come to the right place. Optimise your systems with air flow technology. Our fans and filters are geared to the needs of the grain-processing industry and come in a wide range of types. Grain must pass through many processing stages on its way from the field to the table, and we develop perfect air control systems for each of them. We give top priority to gentle treatment, short processing times, high output and compliance with hygiene standards – all with the goal of turning out healthy, high-quality products. And in spite of our focus on efficiency and cleanliness we never forget the importance of aroma and taste in the final product. Cost is another factor that we never overlook. Before grain can be processed into food, a number of cleaning steps are necessary. 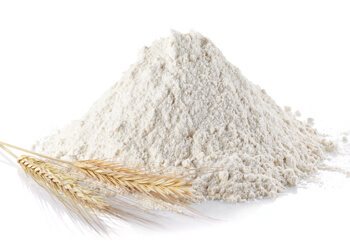 The first takes place in the combine harvester, and intermediate products like fine flour, coarse-grained flour, semolina, coarse meal and bran also have to be cleaned. In food processing, good taste and appearance depend on having a high-quality product free of foreign matter.